Lawyer and Mediator in the heart of Bramhall. practice in the centre of Bramhall. minimum and is committed to working innovatively with clients in order to reach satisfactory outcomes in a cost effective way. Nicola believes passionately that the Court is not the right forum for separating families to find a way forward and will steadfastly work to avoid Court proceedings. She will work with clients to enable them to address all issues arising on separation, preferably outside of the Court arena. 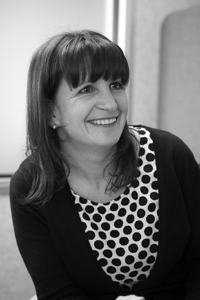 Nicola is approachable, empathic and is an extremely experienced matrimonial/family practitioner. and is therefore pleased to offer a no obligation free ½ hour initial interview. small-medium sized businesses, civil partnership disputes and unmarried families. is an enthusiastic collaborative lawyer. Nicola feels so strongly that Court proceedings do damage to families that she will brainstorm ways to resolve disputes without Court proceedings.